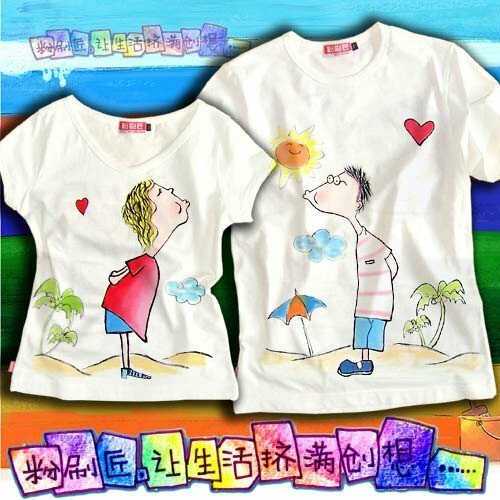 Handpainted Shirts are a great way to say I love you to the young and the young at heart in your family. 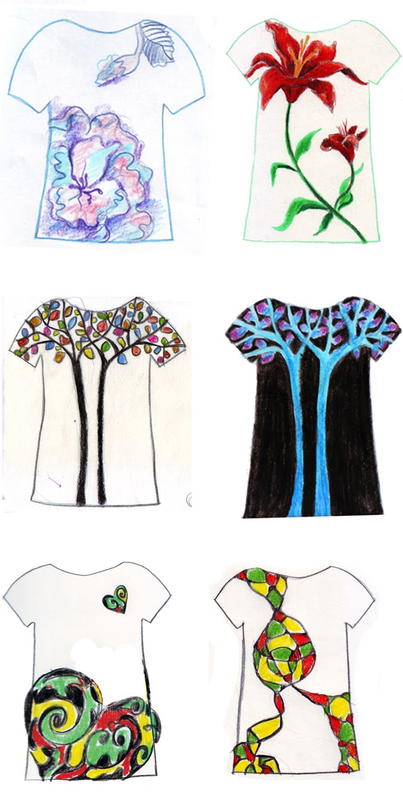 Handpainting shirts takes a lot of planning, time and effort. It will surely mean a lot to the creator-giver and the beloved-receiver. 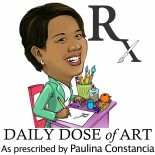 Draw a cartoon-like version of you and your spouse. It’ll be something he/she will treasure for a long time. 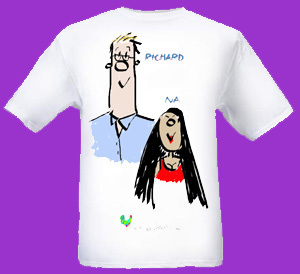 I love the kissing gesture on this one, great for making a his and hers version of the shirt. I love the way Polina maximizes the use of space. Normally, designs are concentrated at the centre of the shirt. Look how far her design extends –from the shoulders all the way to the bottom of the shirt. This entry was posted on December 10, 2012 by Paulina Constancia in Care, Create and tagged Arts & Crafts, celebrations, Christmas, homemade gifts, wearable art.